Walking through the entrance of the Rosebery complex, the unassuming door into The Green Elephant hides a world that any child would be curious to visit. The vast foyer of the centre is welcoming and homely and provides for an easy drop-off, complete with pram and bike parking for those close to home. Stepping into the thoughtfully designed indoor outdoor playground, your children will find a dream sandpit, a track perfect for bikes and little feet, mounds of green space and toys that are chosen to enhance learning and improve fine motor skills. The industrial sized centre allows the indoors to feel the freedom of the outdoors. Meals are shared in the separated dining room, with an open and inviting window into the experienced chef’s kitchen. It is a perfect place to serve, eat and enjoy cooking activities with young friends. Well resourced classrooms cater for age appropriate needs and imaginations, with activities that aim to enhance learning, individual growth and fun. The outdoor yard is the crown of the centre, in design and possibility. This space is used beyond play, but as an outdoor classroom for sustainability and the environment, craft, gardening and even cooking. 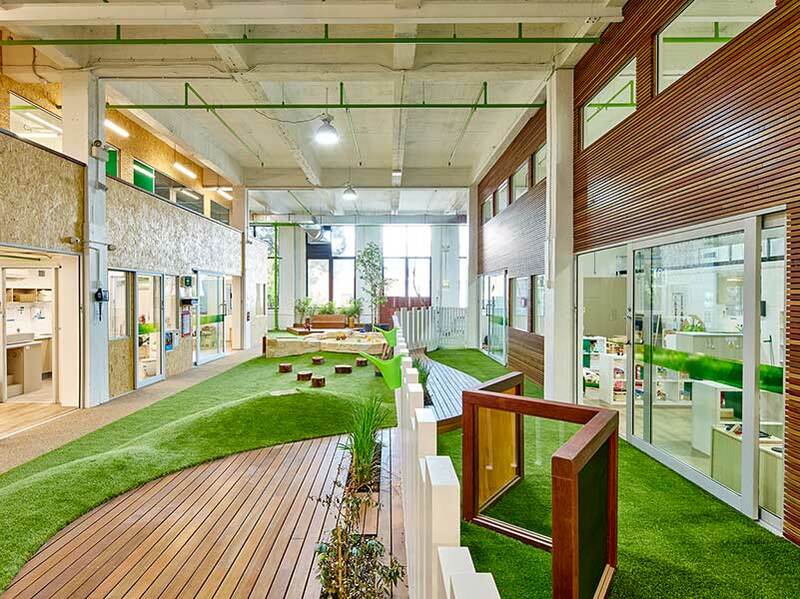 With a cubby, climbing wall and sandstone sandpit with options for water play on the sunny Sydney days, The Green Elephant at Rosebery will entice any child to join the fun.